"The stakes have risen even higher in this third book in the Hourglass series. But the Hourglass has an advantage. Lily, who has the ability to locate anything lost, has determined that the Infinityglass isn't an object. It's a person. And the Hourglass must find him or her first. But where do you start searching for the very key to time when every second could be the last?" First line: "'The only reason you want my help is so yu can see my girls in a corset,' I said." 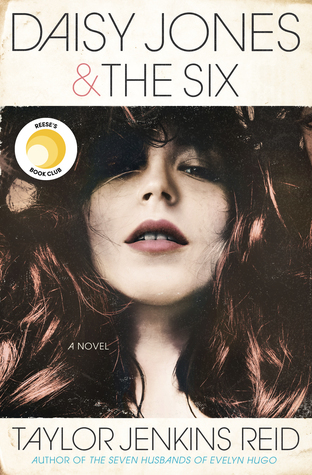 Thoughts: She's done it again- Myra McEntire has written yet another exciting and unputdownable book I easily devoured in only a matter of days. Though TIMEPIECE is still my favorite (for, ahem, obvious rawr-like reasons), I still very much enjoyed INFINITYGLASS. The gorgeous cover definitely does this book justice, as does all the anticipation leading up to the release. Unlike the other novels, which are only told through one point of view, INFINITYGLASS is told through both Hallie and Dune's point of view. Out of the two characters, I found Hallie to be the most relatable. Yes, she has these supernatural abilities and yes, she has basically been stowed away to be used as a pawn in her father's work games, she's still just trying to be a normal teenage girl and live a normal life. I think readers will easily relate to her naturally awkward yet brave demeanor. The events that take place between her and Poe are definitely action-packed and oh so fun to read. With all this said, it doesn't mean I didn't enjoy reading Dune's point of view. He's captivating in all the right ways. I'm sure girls will swoon all over him and adore him. I sure did but alas, my heart lies with Kaleb. Oh, and for all of you Kaleb fans out there, he is in fact in this novel. Squee! Overall, fans will be pleased with McEntire's latest installment in this series. It's no lie, the stakes are higher. The pacing is perfect to the point where there is never a dull moment. 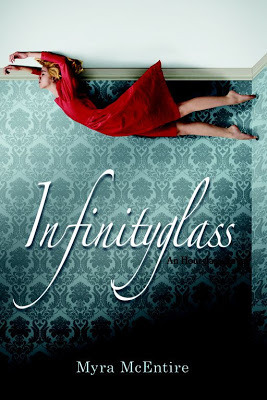 Enticing and riveting, I highly recommend INFINITYGLASS as well as the entire Hourglass series to fans of romance, time-travel, and genuinely good books. Oh, I can't wait to read this one and see how it all ends! And I could always use another guy to swoon over! Great review! Kenapa Waktu Masturbasi Yang Keluar Sperma Nanah? very good pstinganya and very meaningful once the article. thank you for helping and adding my insight.